What is Liquid Galaxy, the Liquid Galaxy Project and the Liquid Galaxy LAB? Liquid Galaxy is a remarkable panoramic system that is tremendously compelling. 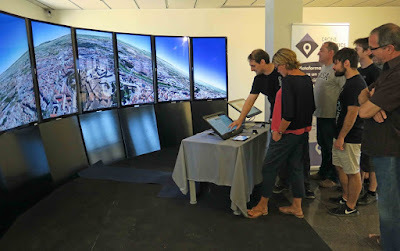 It started off as a Google 20% project to run Google Earth across a small cluster of PC's and it has grown from there! Open source applications such as the MPlayer video player have been extended to run on Liquid Galaxy. Liquid Galaxy hardware consists of one or more computers driving multiple displays. Liquid Galaxy applications have been developed using a master/slave architecture. The view orientation of each slave display is configured in reference to the view of the master display. Navigation on the system is done from the master instance and the location on the master is broadcast to the slaves over UDP. The slave instances, knowing their own locations in reference to the master, then change their views accordingly. The Liquid Galaxy Project, while making use of Google Earth software, does not develop the Google Earth code-base itself. Google Earth is not open source software, although it is free (as in beer). Instead, the Liquid Galaxy Project works on extending the Liquid Galaxy system with open source software both improving its administration and enabling open source applications, so that content of various types can be displayed in the immersive panoramic environment. 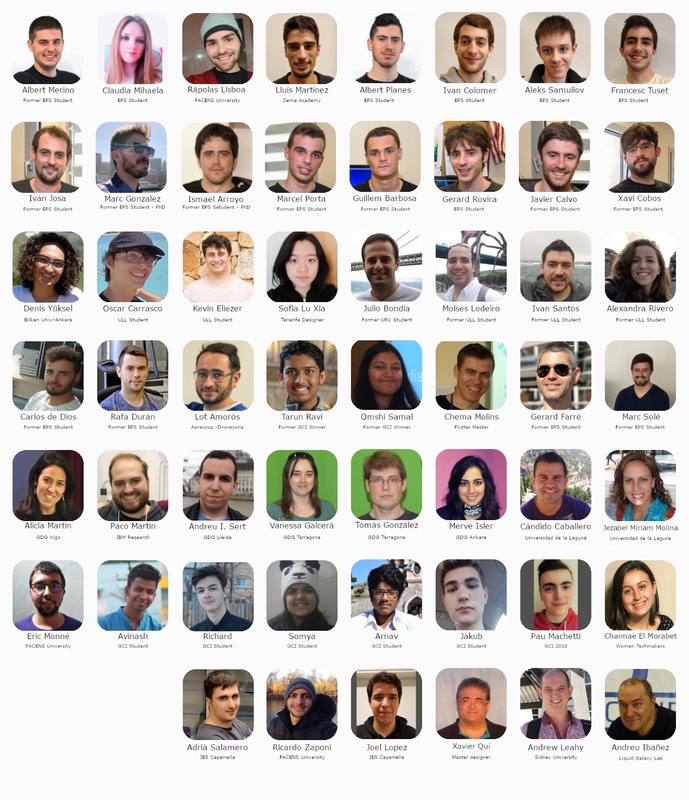 The Liquid Galaxy LAB also hosts a large community of developers, old students, mentors, professors, coming from Lleida, Spain and the world, around the Liquid Galaxy project main code since 2011.